Several years ago, I ran a business doing home parties for a new clothing company. Because of the uniqueness of the product at the time, it wasn't long before I had more clients than I knew how to keep tabs on. Though I was excited about this explosion in my business, I had difficulty keeping my paperwork from becoming one big pile. After talking with some of the other women in the company, I got an idea that saved my sanity and helped me keep up with the explosive growth. When I received a new client, I immediately created a file for her. Sounds fancy, huh? The file consisted of a clasp envelope with a sheet of paper affixed to the front with tape. On the sheet, I wrote the client's contact info, a party date, and a checklist of things to do before that date. Later, I added the party's order total, my profit, an order ship date and other information to help me follow-up with customers. Inside the envelope, I kept copies of all orders placed at the party and a sheet that revealed my profit margin in detail. I kept all of these envelopes in a file drawer by order of party dates. Having all of this information in one place completely freed my mind, and I was able to come up with other ways to grow my business! This system was stupidly simple, terribly un-exciting, and incredibly reliable! What does this have to do with tracking your holiday spending? There are certainly many ways to do it, but the simplest way is usually the best way. This is the easiest way for me. Stick a piece of paper on the front of it with glue or tape. This will be where you write all of your holiday spending activities. 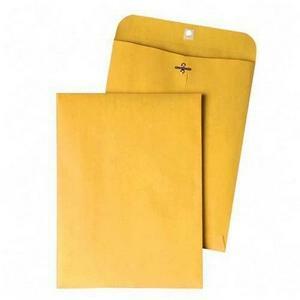 If you will have a large Christmas budget with lots of activity, then use two envelopes. Maybe one for family and one for "everyone else" (acquaintances and co-workers). Or create one for girls and one for boys. What will you write on that sheet? Here are some things you will want to track. Include to whom or what you will be dedicating part of your money. 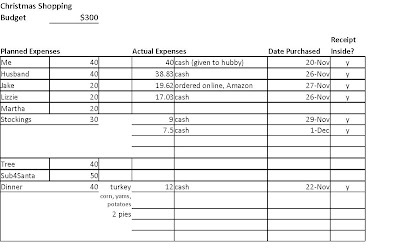 Break down your total allotment in each of the categories for "planned expenses". 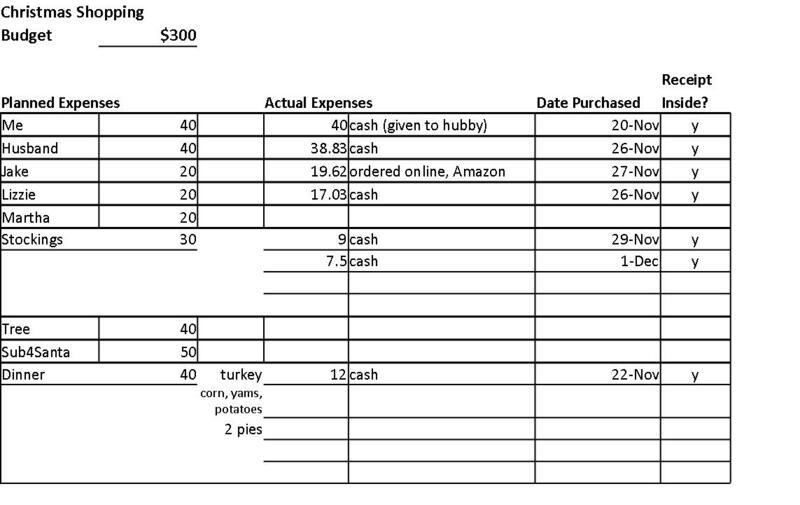 Record exactly what happened in your "actual expenses" at the end of each day in which you spend any of that money. It's up to you if you want to write specifically what you bought. If so, you better keep that envelope well-hidden from curious eyes! Deciding on a dollar amount and what is most meaningful to your holiday celebration will make your holiday shopping less crazy and much more focused. You will also find yourself having more fun! It is easier to let yourself go in the magic and joy of the season when you aren't feeling the stress of hectic confusion. You are the steward of your finances; tell your money what to do for you! When you create a simple way for your holiday budget to succeed, you feel a whole lot merrier a whole lot longer.